What personally identifiable information is collected from you through the phokis, how it is used and with whom it may be shared. You are fully responsible for the phokis (survey) you are starting. Pictures and videos you are sharing through phokis is not in our responsibility. 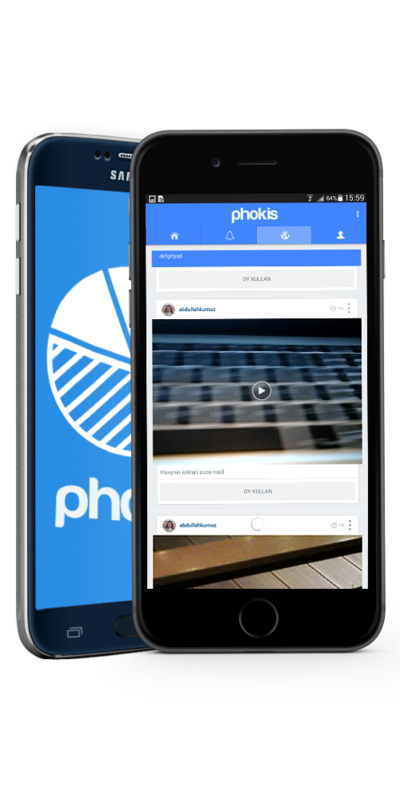 The user should make sure that he is the sole owner of the rights of the pictures and videos shared on phokis. We are the sole owners of the information collected on this site/app. We only have access to collect information that you voluntarily give us via email or other direct contact from you. We will not sell or rent this information to anyone. In order to raise our quality and get a buyer of p hokis.net and its apps we are allowed to transfer all data to the buyer. So all rights and obligations of NLC Ltd. regarding p hokis.net and its app will transferred to the new owner automatically. We take precautions to protect your information. When you submit sensitive information via the iOS, your information is protected both online and offline. I f y o u f e e l t h a t w e a r e n o t a b i d i n g b y t h i s p r i v a c y p o l i c y , y o u s h o u l d c o n t a c t u s i m m e d i a t e l y v i a e m a i l .
and award prizes. Survey information will be used for purposes of monitoring or improving the use and satisfaction of this site.